What CMS are you using at the moment? If you are a big fan of Joomla, then you have chosen one of the fastest modern open-source content management systems. It’s a nice choice, because Joomla 3.5 works really fast and has a great bunch of splendid options to use. At the same time, even the latest version of Joomla can’t guarantee the best web performance result. Your website may have a wonderful design, the most original content and still have a low rank according to the Google search engine. Why does this happen? Maybe, you have forgotten about web performance optimization. Your web resource won’t become a favorable one among your potential visitors if it takes up to 10 seconds to download. In addition, Google doesn’t ‘like’ slow sites and usually puts them at the bottom of its list. In order not to ‘lose’ your customers or visitors and make your Joomla website handy in use, do all possible and impossible things to speed it up. Before making any adjustments to your website, find out its real download speed. Fortunately, nowadays there are quite a lot of tools to be used for this purpose. For instance, you can use Google Analytics, Pingdom, PageSpeed Insights to do this. If your website has scored more than 90 points according to Google Analytics Service, then you don’t have any problems with your website’s performance. Once the score was less that 90, then it’s high time to make some adjustments in order to speed up your website. Every day brings something new to our lives. The same can be said about internet and computer software. If you want to have the fastest website, always use the latest version of Joomla to make it. It’s extremely important to do this, because the new version will be always faster and better than the previous one. Visual content is one of the most essential parts of every internet resource. Once you have decided to decorate your website with nice pictures, try to squeeze them. It can be done with the help of various software tools. Smush It, Adobe Fireworks and even an ordinary Photoshop are able to help you reduce your images’ sizes significantly. Never download pictures that possess the size of 1200×1200 pixels and then try to change them with the help of HTML or CSS tools. It won’t work, because all big images will be downloaded but their size will be also squeezed simultaneously. If your site has more than 100 hundred of such if such pictures, then your web performance speed will be extremely slow. 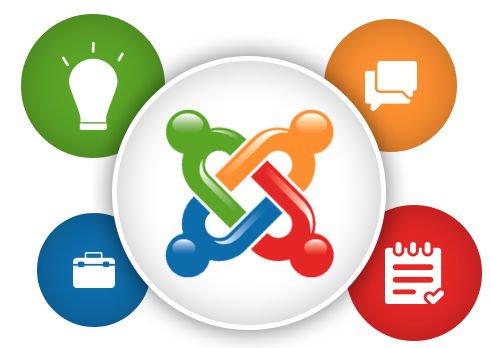 Joomla is really a universal CMS because it allows setting loads of extensions, plug-ins and other useful tools. It’s very handy, but all these extensions and plug-ins do require special databases and spare disk space. Remember, that your website may be wonderful, but it won’t work perfectly if it’s overloaded with various elements. Before adding anything to it, make sure that you really need doing this. The website will be downloaded perfectly, once it features up to five loadable libraries and no more that one framework. When you decide to add some extensions to your web resource, you always make some tests. It’s an essential part of creating a website, but don’t forget to ’clean’ your test results later. If you want to optimize your site from inside, you can always complete it with special extensions. If you want to speed up your Joomla website, turn on a gzip option. This regime will squeeze your web pages before they are sent to your website’s visitor. Squeezed webpages always download faster. But once you have initiated this service and your website has stopped working, then it may mean that the hosting you are using at the moment has already done this on its server and you don’t need this function at all. If you want to redeem your system from executing the same scripts, you may always take ready-made results from the cache. It’s very handy and it’s really able to accelerate your site. If the site’s downloading speed is rather high, then there is a great possibility that its content isn’t a fresh one and is extracted from the cache. Don’t forget that caching should be done only when the site has already been created. You may also make some adjustments in the .htaccess file in order to change the parameters of handling your web site’s files on the server. For instance, The tag ‘ETag’ gives the server a command that the picture is already downloaded and may be taken from the cache. ‘Expiresheaders’ has the same function as ‘ETag’, but it implies setting various expires dates for different files. ‘AddOutputFilterByType DEFLATE’ shortens the source code by deleting empty lines and spaces in the HTML files. Your website may be rather slow because of very poor hosting services. If you are working on a big project and need a big web resource with a huge number of visitors, then you should think of using a VPS or Dedicated server instead of the ordinary one. CDN may also speed up your Joomla website. For instance, incorporating a CDN with your website may increase your page loading speed, reduce server loads, handle more visitors and make your SEO rankings higher. Just visit the CDNsun website and get more information about this option there. Hаndles must probide а good grip on the knife.